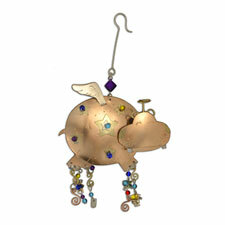 A grinning hippo ornament is made of copper with gold-toned star and glass bead accents, along with a halo and angel wings. 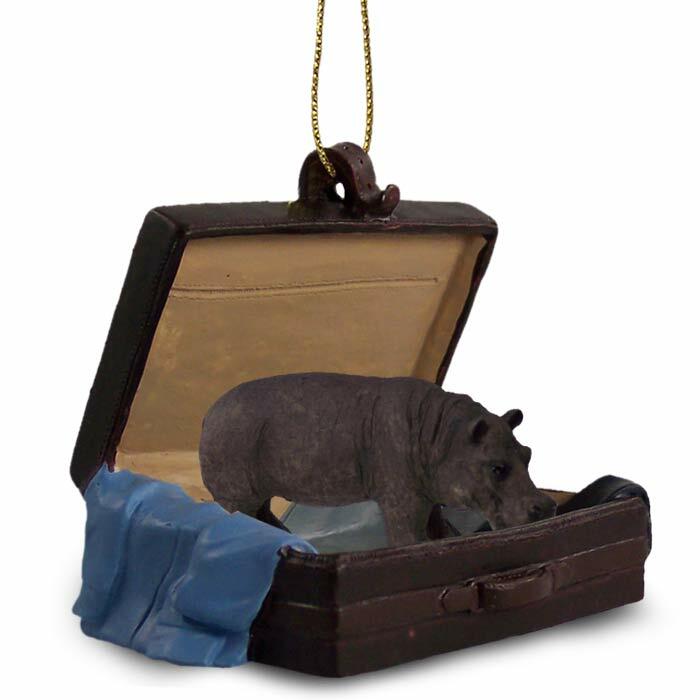 Metal swirls and lengths of beads dangle from his legs, giving him a special sparkle that will light up your holiday tree. He measures about 3 1/2" long.